I usually spend a lot on food everyday, especially when I’m not living at home. I wake up much too late for breakfast (read: 10 minutes before class), but usually grab a RM2 pao by mid morning . I then head off to lunch and if I’m alone, I’d grab mixed rice for RM5 . If there’s a special occasion, or I’m feeling particularly hungry, or if I’m eating my friends, this RM5 can go up to RM9 for a meal. For dinner, I’d usually have some mixed rice (Asia represent! WOOH!) for RM5 , accompanied by a cup of fruit juice for RM5 if I’m in the mood for it. Hahah, so healthy. Okay, sometimes it’s bubble tea instead of fruit juice. That’s 2 + 5 + 5 + 5 = RM17 a day, and RM21 on more splurgey days. And I’m not even earning my own money! I guess the good thing about exams are that I usually find myself alone and not really in the spending mood, hence I often make do with RM10 a day for mixed rice… all day… everyday. In place of my April goal (ya lah, I know it’s late, heh), I decided to do something different and Live Below The Line. I first heard about it when I was flipping through the celebrity gossip section of the newspaper and spotted a quote by Hugh Jackman. Intrigued, I decided to Google and ended up on the Live Below The Line website, where I found out that campaigns have been and are being carried out in countries like the United States, United Kingdom, New Zealand, and Australia. Live Below the Line is an annual anti-poverty campaign, which challenges participants to feed themselves on the equivalent of the extreme poverty line for five days. The goal of Live Below the Line is to raise widespread awareness by enabling participants to gain a small insight into the hardships faced by those that live in extreme poverty. Live Below the Line also raises money for poverty reduction projects across the globe. Because I knew that it wasn’t carried out in Malaysia, and rather than do it here and send the money overseas, I decided to try my own version of it. 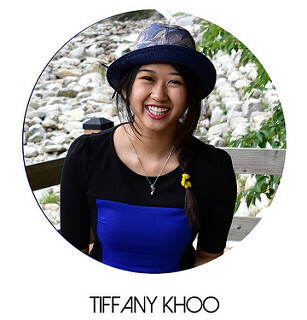 I thought about it and posted on Twitter (@tiffanykhoo) and my weeklong project was born! My version involved spending RM5 a day on food (which I already feel exceeds the extreme local poverty line) and whatever we didn’t spend, which we would normally spend on ourselves, could be donated. We often don’t donate because we feel that it’s just giving away extra money, but this project is different in the sense that it is by our actions that we have more money to give. Many I spoke to about the project thought it was impossible (at least in Subang), but there were others who were really supportive too! Some decided to spend RM5 a meal instead of a day, and since would otherwise spend RM10 on it, pledged RM25 for the week. Others decided to support by donating alone. As for me, I pledged RM5 a day as well, and told myself to keep within the RM5 daily limit. What I really liked about doing this was that it could be done on a really personal level. Whatever I collected could be donated directly to a cause I believed in, rather than channelled to various organizations like World Vision before hitting the recipient and whenever someone asked why I was eating such a strange combination of food, I had the perfect opportunity to share about it! This project got a lot of opposition by people who believe that donating the money on its own would be sufficient, or that 5 days really wouldn’t make a difference… but for someone who attempted the challenge, I really felt that it was eye opening as it made me a lot more aware of how much I spend a day on food, when there are people out there who don’t quite have the same privilege. I felt hungry some nights but told myself I had only this much to spend and that’s what I had to make do with. To live like that for 5 days was enough to make me appreciate the value of money a little more (more discount hunting!) and I guess, gave me a little perspective on things as opposed to how it would have been had I just donated straight. Like how people attend the 30 Hour Famine! Well, my week was basically spent with some cup noodles, instant soup packets, Apollo cake as snacks (which brought back many fond memories, thank you very much!) and mixed rice! More me than soup, but meh! I think it was like RM2.10 for a pack of 3.. so, that’s really RM0.70. LOOK AT THAT. A 50 sen cake! On some days, I piled my mixed rice packet high and split them into two for lunch and dinner. A full packet for RM5! Split into half.. Yeah, I know it isn’t the same pack of rice, hehehe. In the process, I found out quite a number of things about overexpensive SS15. Amongst them is that Quick & Easy, the pink store opposite Taylor’s College gives out free food at 12am on the dot. Basically, they give out the food they didn’t manage to sell in the day, since it would spoil if they kept it overnight. Also, bakeries sell their pastries at a cheaper price after a certain time so it’s really worth asking if they do. At the end of the day, with much support of friends, what was meant to be a RM25 donation turned into RM150 which was just absolutely amazing and unexpected. So, thank you so much everyone who supported either monetarily or uhh.. emotionally, ahahah! So, yeah.. That was my April goal.. kind of. Try this out with your group of friends. Who says you need a big organization to do things like these? And uh.. random insert of my face. 4 comments on "Live Below The Line"
That's actually a really good idea.. Ahh, but it's a matter of convenience.. Hmm, I think I could try it though! Thanks!